Thick slip squeezed out of a squeeze bottle or one of those rubber ear syringes? And then do a lot of those and assemble them into a larger structure? Hopefully something less lame than this. The units would be something like this silicone squiggle. Try not to think about intestines. Measure the strips using a square cross section stick; roll & cut. ...the kind of website where you know, right off, that 2/3 of the way through registration, an inane program design assumption will ultimately result in a logic loop that irrevocably borks the entire process. Dagmar suggested we take an art class at Laney. The only one that meets M-W 6-8 is Ceramics. 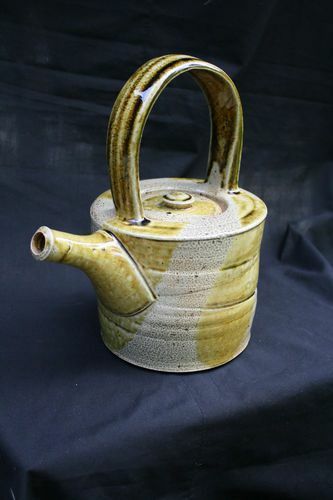 Instructor Larry Henderson seems to be an old "thrown stoneware teapot" kind of chappie. I could live with that. I’ve gotten all excited about handling clay. I’ll need to know what the studio has to offer. Highfire? Gas kiln? 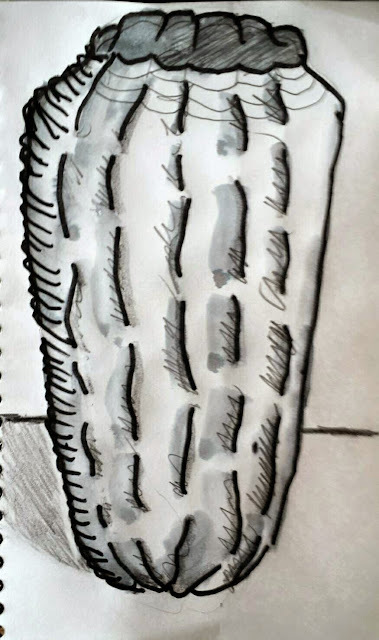 Clay bodies? Is there a slab roller? Can I slip-cast? Stoneware & Weber grill. (Hi Dag!) There also seems to be a raku kiln, and a few skutt-type electric kilns for bisquing & lowfire. Acorn Squash molds. Slipcast if possible, or make coiled blank, soften and hand-press into molds. Slab vase from top. Texture larger sides with Fred-shredded leather from chair. Smaller sides with those wooden sticks from Mexico? Bowl for Ramona. Use slumped red graph bowl as form.